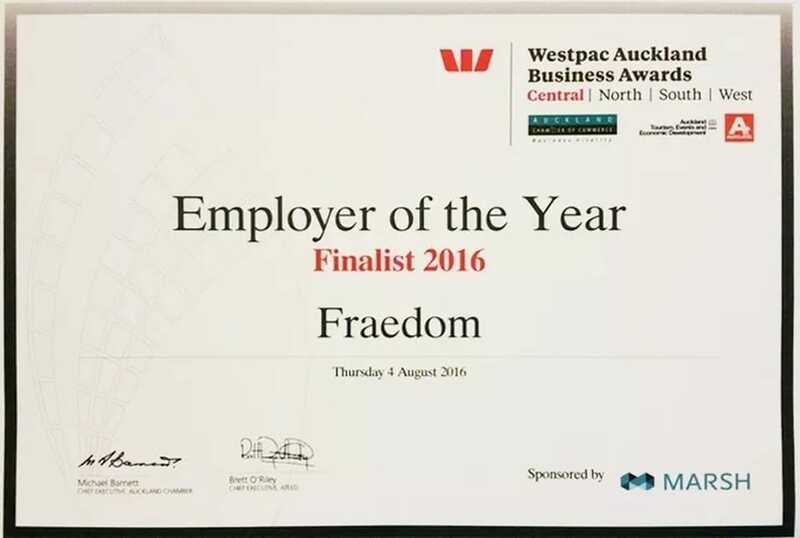 We’re delighted to announce that Fraedom is a finalist in the ‘Employer of the Year’ category in the 2016 Westpac Auckland Business Awards. The Awards are a great way for businesses to celebrate and reflect on their successes against the best of businesses from across the region. They attract a range of businesses from many sectors looking to profile their achievements in both innovation and excellence. Fraedom has made the final cut for this major award out of over 220 businesses in the region that applied. It’s been a busy year at Fraedom, with notable product developments such as our brand new Expense mobile app, receipt auto-linking powered by OCR and many more product updates offering users an improved experience and considerable time savings. We’re very much looking forward to the award ceremony in November where we hope to graciously win the award!